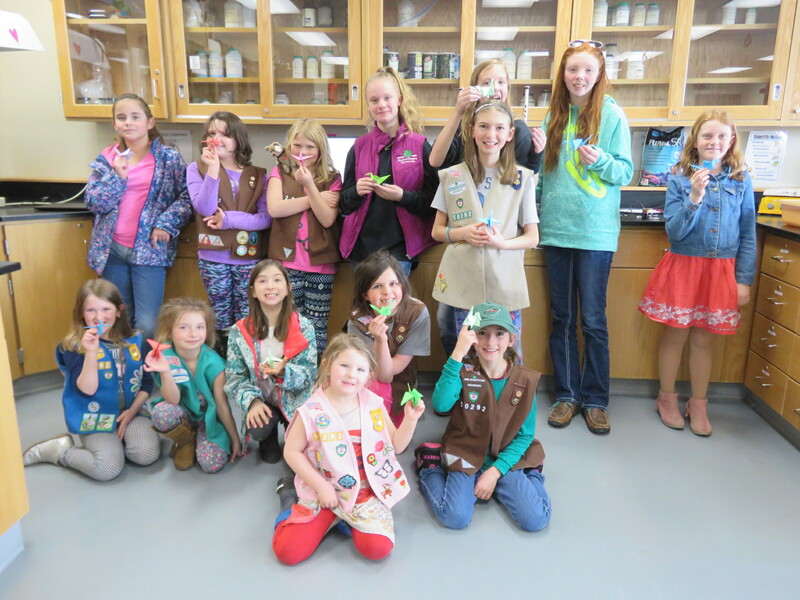 Girl Scout Troop 50292 of Kremmling made origami cranes at their meeting on Sunday, March 10, 2019 to donate to cancer patients. There is a Japanese tradition that 1,000 origami cranes will grant a wish, such as a wish for long life or cure from an illness. These cranes will be sent to http://cranesforcancer.blogspot.com/ in the name of a relative of a girl in our troop, #TeamHozhoonii, also found on Facebook. Hozhoonii is a 13-year-old girl with a rare for of leukemia, type ALL. 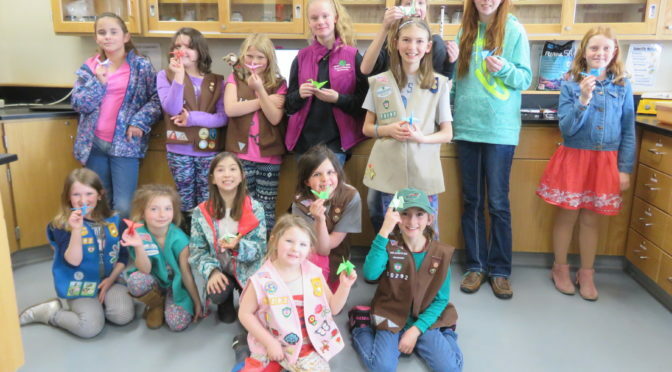 This website collects 1,000 cranes and sends them to nominated cancer patients with a wish for a cure. If anyone would like to make a paper crane to donate, follow the link and give a smile to someone who really needs it! http://cranesforcancer.blogspot.com/. Helping others makes us smile.